packed baby spinach leaves or roughly chopped large spinach leaves - 1 c.
salt, divided - 2 tsp. vegetable oil - ¼ c.
Diced Garlic Scapes (drained&rinsed) - 2 tbsp. chopped fresh parsley - 2 tsp. watercress, tough ends removed (may sub with a base of cooked grains such as spelt, quinoa, couscous) - 2 c.
Bring a large saucepan of water to a boil over high heat. Add 1 tsp. 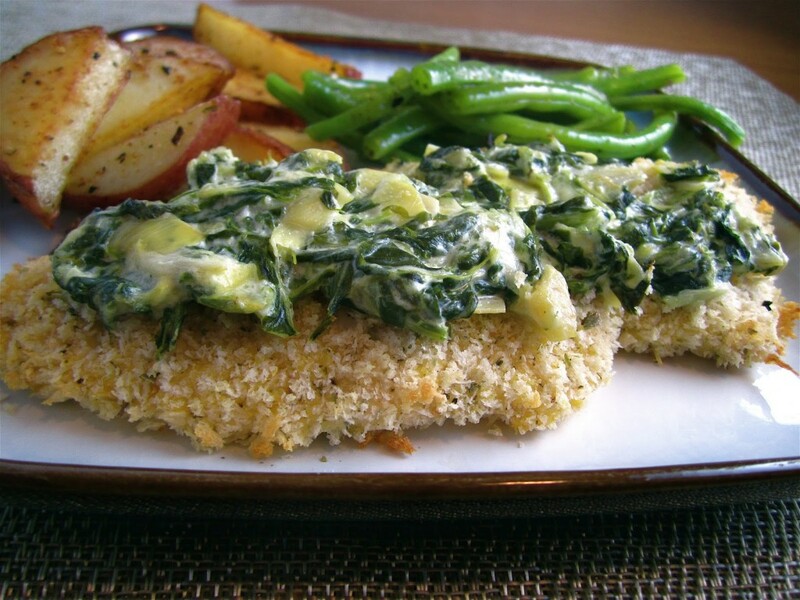 salt and spinach and blanch until the spinach is tender and tears easily, about 2 minutes. Drain and transfer immediately to a bowl of icewater to cool. Drain and strain all liquid from spinach. To a small skillet set over medium heat, add the butter. Melt, whirling pan occasionally, until the while solids turn golden and the butter smells nutty, 2-3 minutes. Stir in the garlic and cook until goldenbrown, about 30 seconds. Pour the garlic-browned butter into a blender. Add the spinach and blend on high speed until the mixture is completely smooth, about 1 minute. Add a ½ tsp. salt and ¼ tsp. pepper and blend again. May thin with some oil if too stiff. To a large bowl, add the chicken wings and flour, toss to coat. In a large skillet on medium high heat, add the oil. Add the chicken pieces and cook until both sides are golden brown. Squeeze juice from the lemon over chicken. Season with remaining salt and pepper; add Diced Garlic Scapes and parsley. Stir to combine. Divide watercress or grains on plates. 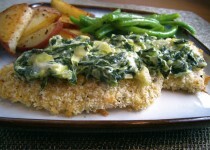 Top with chicken and pour spinach sauce over top with additional lemon, garlic scape sauce from the pan.